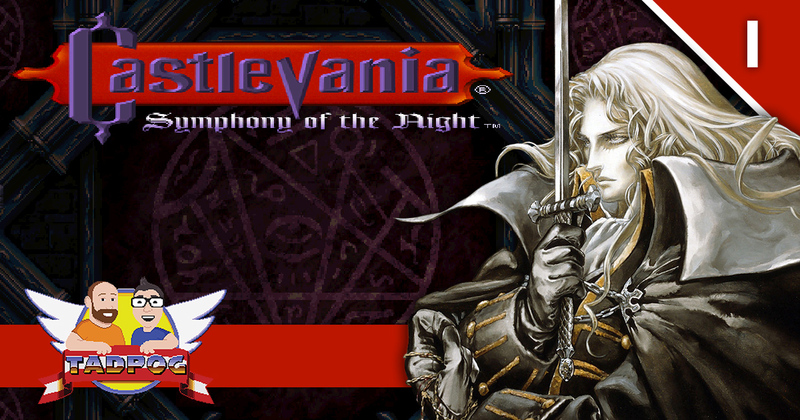 On this episode we further our quest to play and discuss every Castlevania game, and this one is a big one. Foretold years ago by the Necromancer Shaft, TADPOG would do at least two episodes of Castlevania: Symphony of the Night. Many heroes stepped up to go on this journey and those chosen today are one-half of TADPOG’s Sweethearts Josh Nance and Ruby on Rails Baron Paul Clewell. We have chosen our healing potions in the form of stout beer from Kevin Link. We sharpen our blades and manage to keep on track so we can give this game its due, and we also create the hero we all deserve. Cooter Belmont. We’ve done episodes on a bunch of Castlevania games already! Check ’em out: Castlevania, Castlevania II: Simon’s Quest, Castlevania III: Dracula’s Curse, Super Castlevania IV, Castlevania: Bloodlines, Castlevania: Dracula X, and Castlevania: Rondo of Blood. One day I was with it!